Latex is one of the longest wearing components available in a mattress. Its push back, resilient nature makes it a perfect material for a comfortable mattress. The Talalay process of producing Latex provides a softer Latex with more air. 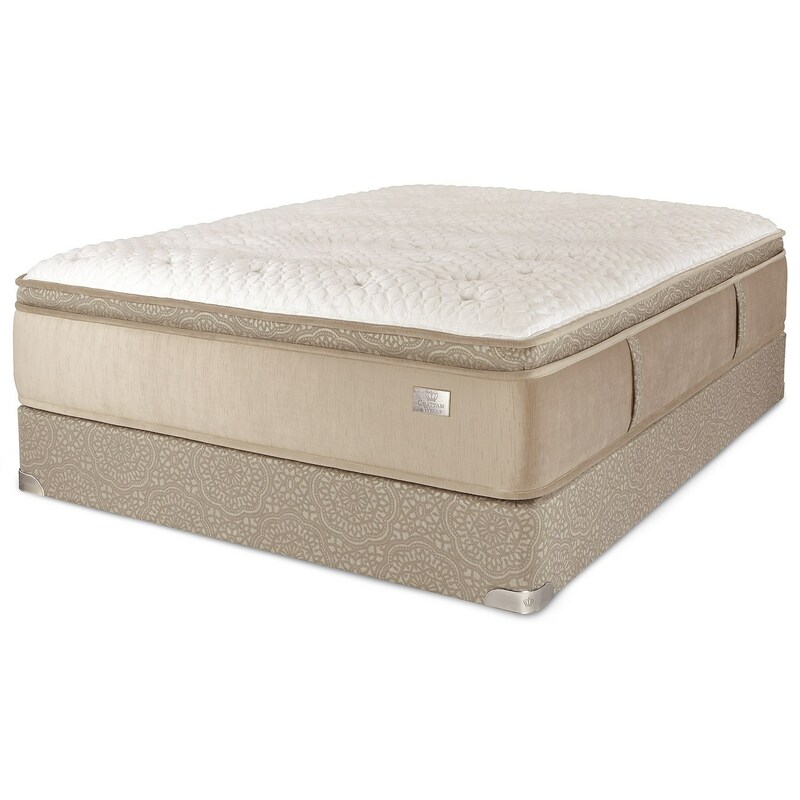 The Revere ET Queen Euro Top Pocketed Coil Mattress and Foundation by Spring Air at Zak's Home in the Tri-Cities, Johnson City, Tennessee area. Product availability may vary. Contact us for the most current availability on this product. Change the way you sleep with this Revere Euro Top mattress from Spring Air. A 450 (Queen) Hinge-Flex Plus Knotted Offset Coil system is sensitive to the contours of your body while also extending the life of the mattress. A 744 (Queen) Lo-Pro Fabric Encased Comfort Core reduces motion transfer and keeps things steady while also providing support. A cloud plush feel is provided by the 100% Natural Talalay® Latex, which conforms to your body for support and pressure relief. A layer of Polyurethane Foam and a layer of High Resiliency Foam work together to provide unmatched firmness, support, and durability without leaving body impressions. Additionally, this mattress is kept comfortable at an ideal temperature thanks to the 4-way stretch knit fabric with Joma® wool and a high density convoluted foam. The Revere ET collection is a great option if you are looking for Mattresses in the Tri-Cities, Johnson City, Tennessee area. Browse other items in the Revere ET collection from Zak's Home in the Tri-Cities, Johnson City, Tennessee area.